The ultimate world girdler! 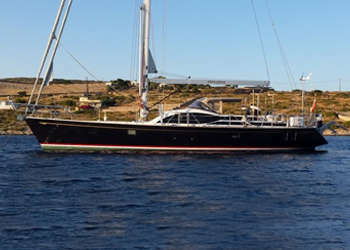 Custom built Solaris 72 by the renowned Italian yard. They have been producing high quality yachts since the 1970s. PLUM was specifically designed for a truly adventurous circumnavigation. With this brief she was built to contend with the challenges of high latitude and equatorial regions of the planet. Fresh from recent and comprehensive refit, the yacht is ready for new adventures. Built for an adventurous family with her 10+ berths.